This Truffles Recipe was inspired by the guy I mentioned above. He is my number one fan and my number one taste tester and he absolutely loves coconut. 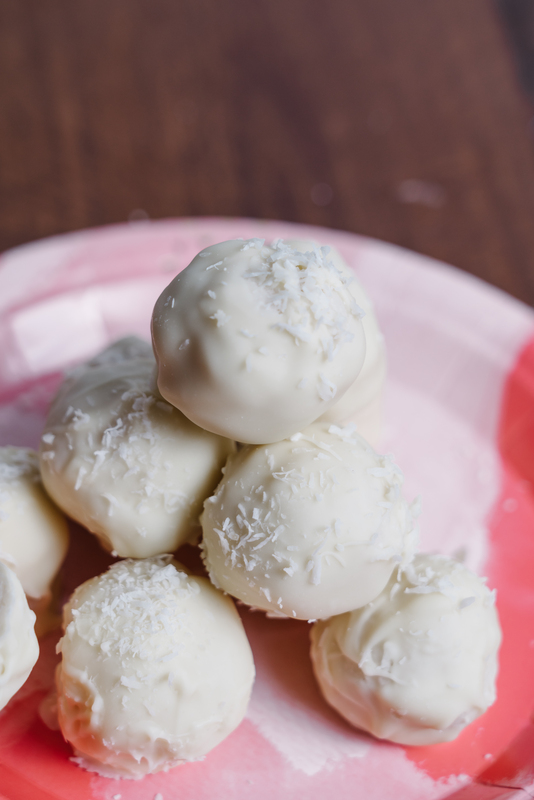 These have coconut cream, shredded coconut and coconut butter. 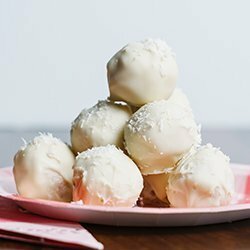 I’m covering all of the coconut bases for you coconut lovers! Of course when I told him we were shooting this truffles recipe, he asked “what’s a truffle”, ha! 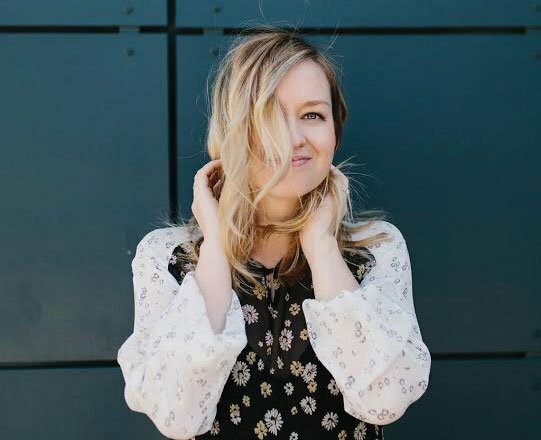 I’ll start there, a truffle is a bite-sized chocolate confection that can have a variety of ingredients and flavors. At their most basic, they require just two components: chocolate and cream. When you hear truffle you may think of the expensive fungus with a pungent taste and you’re not too far off. Dessert truffles are traditionally made by hand and rolled in cocoa powder which gives them a look similar to the fungus which is actually where they got their name. 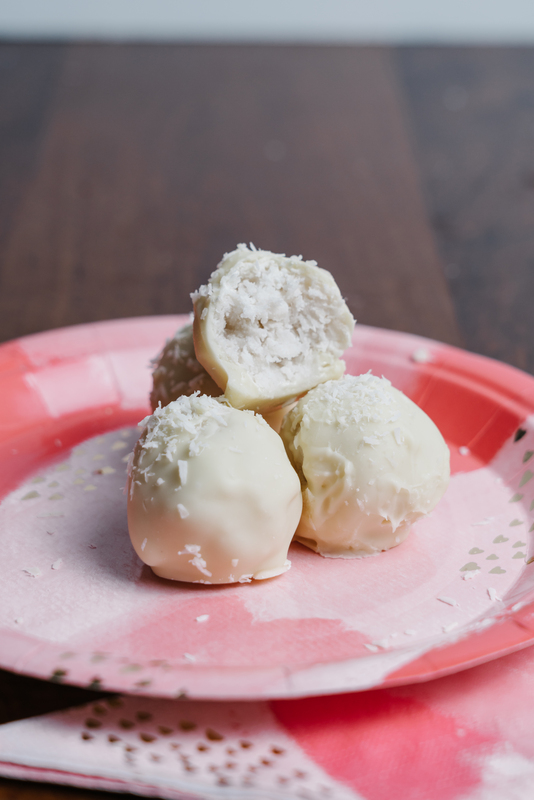 If you aren’t a huge fan of white chocolate, they are delicious with milk or dark chocolate too. That’s it 10-ingredients, mixed, rolled, and dipped. Plus you’ll look like you make fancy chocolate in your free time. So here’s to a valentines treat that you can’t burn, undercook, and don’t even have to BAKE! Want to turn this into a gift? Use these wrappers and this box! 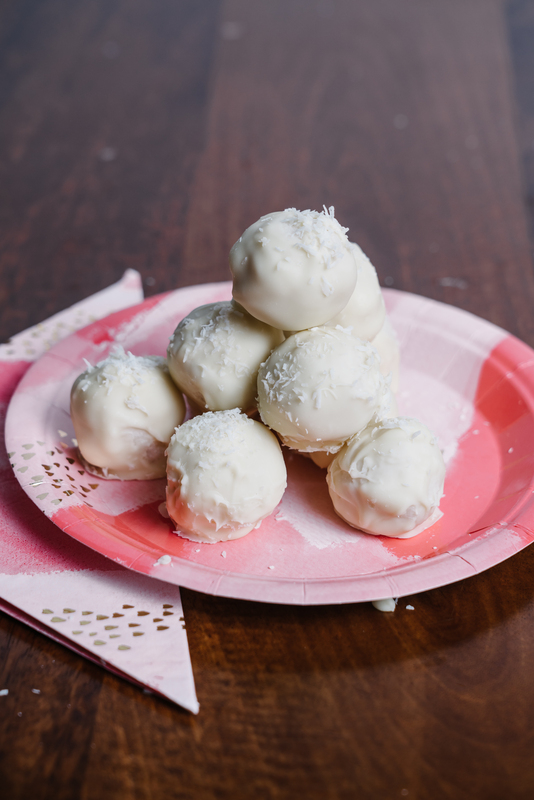 These have coconut cream, shredded coconut and coconut butter and are the perfect balance of earthy, coconuty taste overly sweet so paired with the rich white chocolate it’s a hard to beat combo. 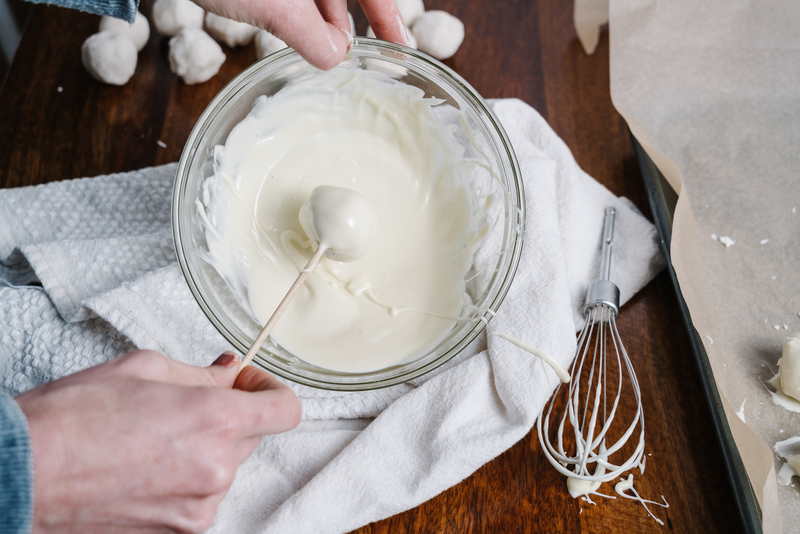 Beat butter with a mixer until smooth. 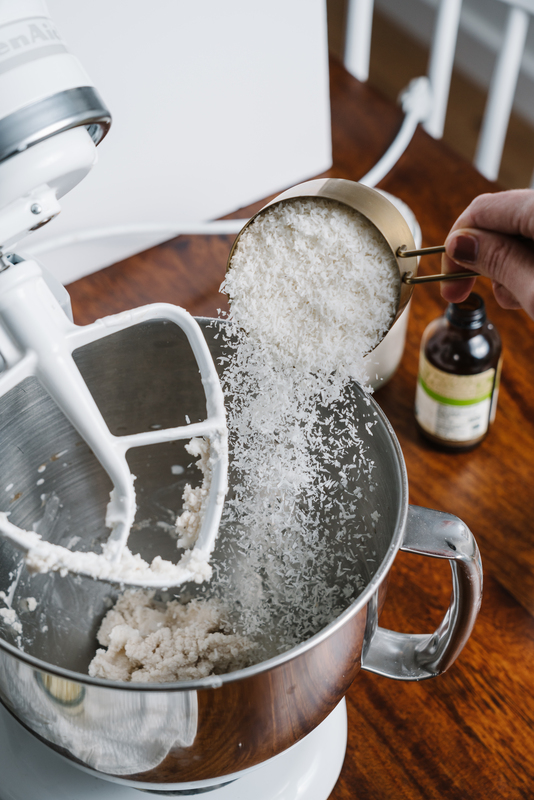 Mix in extracts, coconut cream and salt. Add the powdered sugar and coconut flour until well mixed. 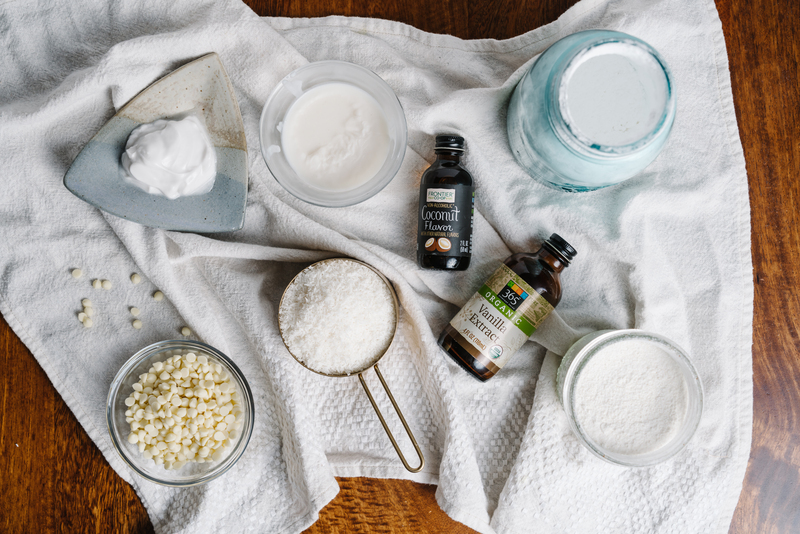 Pour in shredded coconut. At this point I usually put some coconut oil on my hands and mix together with my hands. 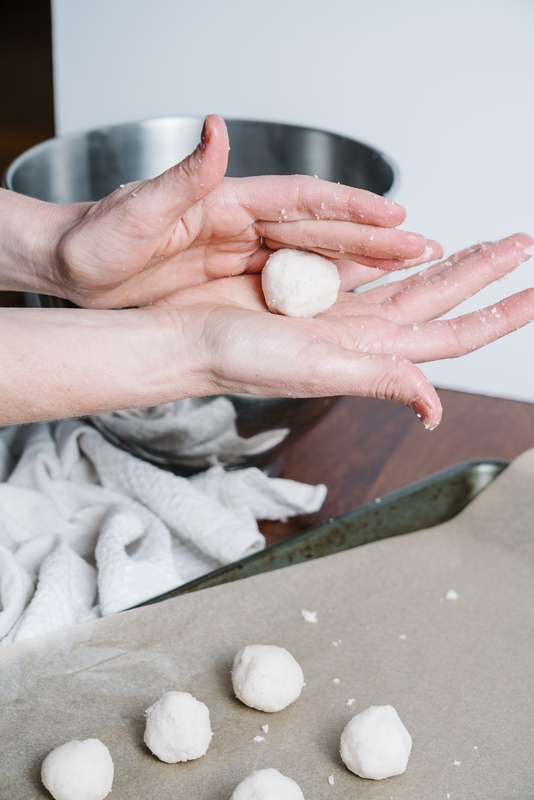 Tear of tablespoon sized chunks and gently form into balls. Set on a parchment paper lined cookie sheet. Chill for at least 1 hour before dipping. 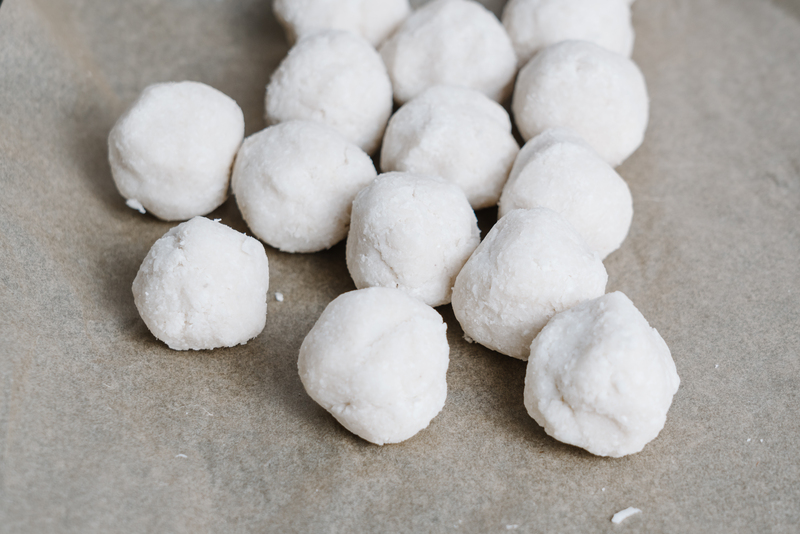 When ready to dip, melt candy with coconut oil in a glass bowl in the microwave or using the double boil method. Dip each ball into the chocolate using a fork or skewer, tapping off the excess and place on lined cookie sheet. Sprinkle with sprinkles or coconut or drizzle with milk chocolate if desired. Chill until set, store in refrigerator. Before serving leave at room temperature for 15-20 minutes. These are also delicious dipped in milk chocolate! *For dairy free/vegan white chocolate, try these. 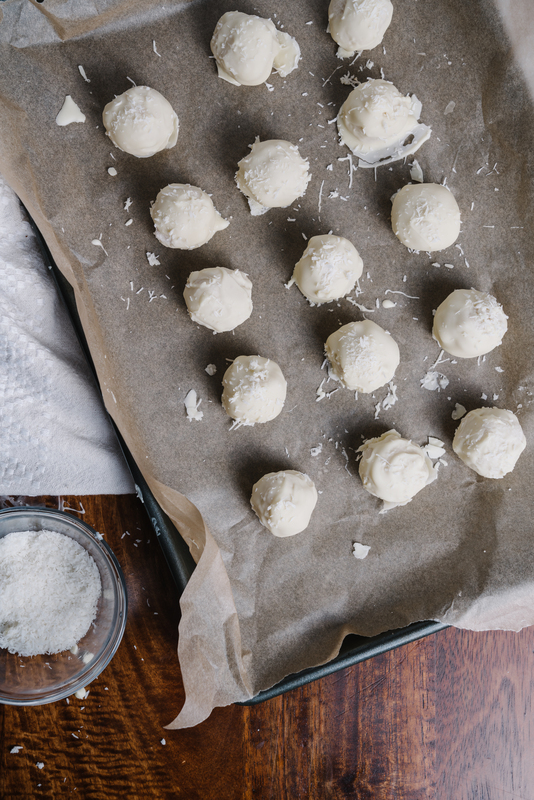 You can use sweetened shredded coconut for extra sweetness. I prefer finely shredded coconut for this recipe but regular should work too. 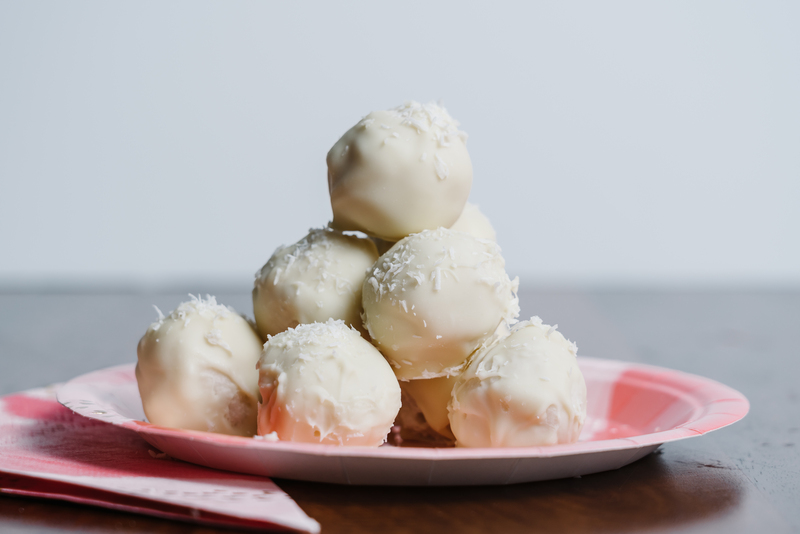 If you like this Truffles Recipe, you can find more of our favorite dessert recipes here! These look so good! I’d love to make them with dark chocolate.